The Catena family of Argentina has frequently been compared to the Mondavis, but that analogy doesn’t give them enough credit. For more than a century they have been involved in the relentless pursuit of quality, and arguably have done more to secure their country’s place on the international wine stage than anyone else. Their saga begins in 1902, when Nicola Catena emigrated from Italy. Like many of his countrymen, he fell back on his native skill of winemaking. As his great-grand-daughter Laura explains in the interview below, Nicola planted Malbec almost automatically when he arrived in his new land. Argentine and French culture were deeply intertwined, and Malbec was regarded as “the French grape,” a variety that had formed a significant part of the Médoc blend prior to the phylloxera epidemic of the 19th century. Argentina was a wealthy country at the time, and Nicola prospered and passed his business on to his son Domingo. By the time his grandson, Nicolas, took over in the 1960s, the situation was radically different. 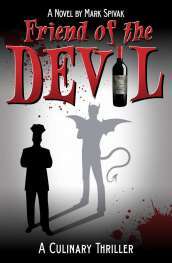 The Peron government had thrown Argentina into a state of economic chaos, and the wine business suffered accordingly. Quantity had triumphed over quality, and Malbec vines had been replaced with high-yielding, inferior varieties. As Laura observes, her father returned from his stint at Berkeley in the 1980s and revolutionized the family business. He sold off the bulk wine operation, and initially focused on planting Chardonnay and Cabernet Sauvignon while he conducted experiments with Malbec. He broke from traditional Italian winemaking methods and installed temperature-controlled fermentation and French oak barrels in his cellars. Eventually, he shifted his attention to planting Malbec in cooler, high-altitude vineyards. The new operation, now called Bodega Catena Zapata (Zapata was his mother’s maiden name) was really the forerunner of the new wave of wineries that flooded Argentina beginning in the 1990s. You could rightly view the Adrianna Vineyard as the culmination of all the progress that has been made the country’s winemaking over the past three decades. Planted at an altitude of nearly 5000 feet, in the coolest climate in Mendoza, the vines are located in a dried river bed containing well-drained limestone soil. 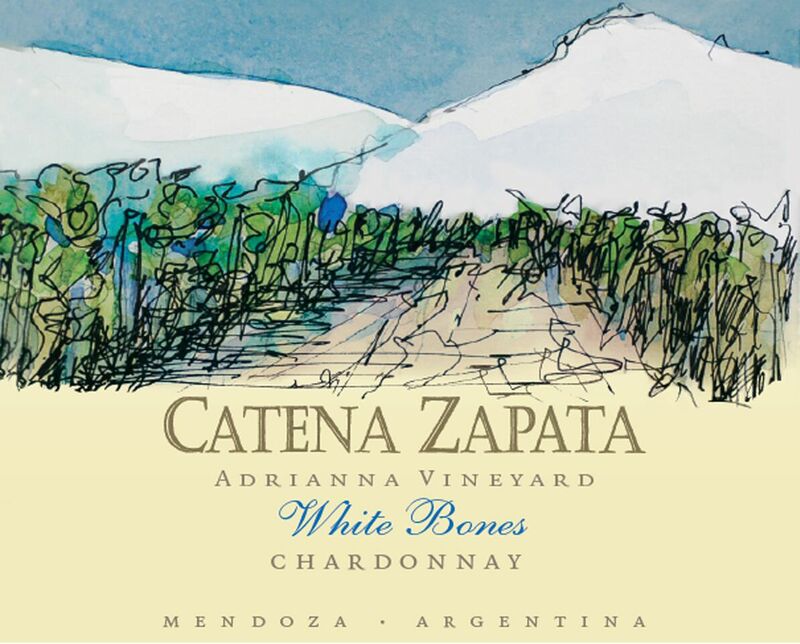 While fruit from the Adrianna Vineyard is used in a number of Catena Zapata wines, the single vineyard bottlings is where that fruit truly shines. Laura is now General Director of Catena Zapata, and is as complex and multi-faceted as some of the wines produced under their label. 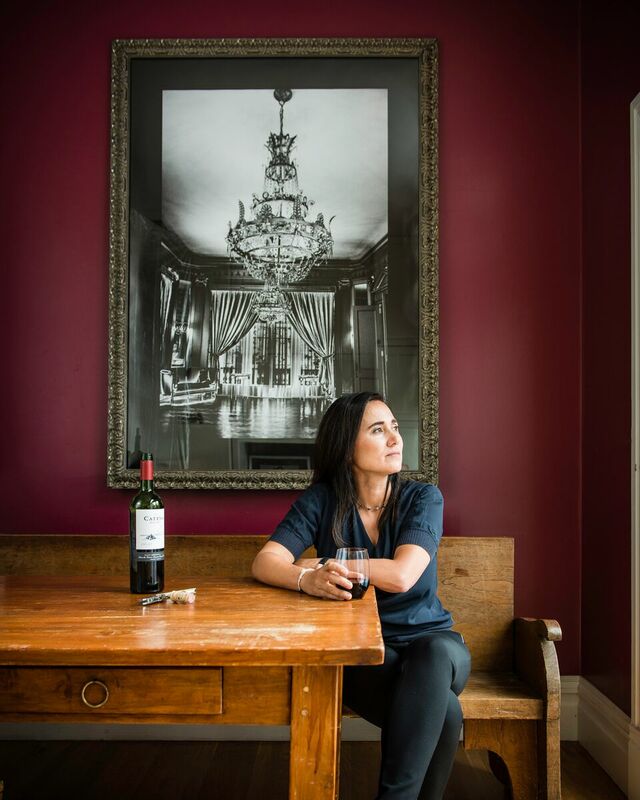 She spends four months each year as an emergency room physician in San Francisco, maintains her own private wine label (Luca), and is the author of Vino Argentino, An Insiders Guide to the Wines and Wine Country of Argentina, published by Chronicle Books in 2010. Minerals, spring flowers, gunflint and spicy citrus aromas jump from the glass of the 2013 Adrianna Vineyard White Bones Chardonnay ($100). Dry and chalky on entry, the wine opens in the mid palate with a range of lemon, lime and quince flavors framed by a strong mineral structure. This is a profound Chardonnay: complex and distinctive, with mouth-watering acidity and a memorable palate imprint. The long finish contains floral notes and hints of white pepper. The wine takes its name from the soil underneath the vines, which is layered with fossilized animal bones in addition to limestone. By contrast, the nose of the 2013 White Stones Chardonnay ($100) is fragrant with scents of peaches, apricots and citrus, along with the promise of good acidity. The wine is more high-strung and lyrical than White Bones, filled with concentrated lemon flavors, rich stone fruits, and an unctuous texture balanced by all the acidity promised on the nose. It is deeply satisfying from start to finish, with those fruit flavors resonating for nearly a full minute. Tasted blind, I might easily mistake this for Clos des Mouches Blanc. The 2013 Adrianna Vineyard Fortuna Terrae Malbec ($140) has a brilliant, saturated purple color and a nose heavily perfumed with fresh herbs, new oak and dark berries. The wine enters the mouth with a burst of juicy black fruits, enhanced by good acidity. Flavors of black raspberry, plum and black currant virtually sparkle on the palate, framed by supple tannins and the vineyard’s signature mineral base. An absolute pleasure to drink, with or without food. Why did your great-grandfather, Nicola, decide to plant Malbec in Argentina? Why not a regional grape variety from the part of Italy he came from? In 1900, Malbec was the quality grape variety in Argentina. They called it “la uva Francesa,” or the French grape. If you wanted to make great wine, that was what you planted: the Argentines were Francophiles above all. Remember that prior to the phylloxera epidemic in Bordeaux, between 40-50% of First Growth vineyards were planted with Malbec. It came to Argentina in the 1850s along with Cabernet Sauvignon and Petit Verdot, but it did much better there than other varieties. Then it would be fair to say that winemakers in Argentina took France as their benchmark model? Both France and Italy, or even estates in Australia such as Henschke, where they have a heritage of five generations. But in Argentina, we’ve been making wine since the 16th century. So the success of Malbec over the past twenty years was really a resurgence of conditions over a century ago? Yes. It’s a return to a time when Argentina was a country that aspired to greatness. At the turn of the century, it was one of the most prosperous countries in the world. At Catena, we view it as a rebirth. It was also a logical thing to do: it’s almost impossible to make bad wine from Malbec. If it’s almost impossible, why was there so little quality wine prior to the 1990s? Keep in mind what was going on at the time. You had the government of Peron, which was very protectionist---he was determined to make Argentina a great economic power again, and blocked imports. It was all about production, and Malbec isn’t a very high-yielding grape. 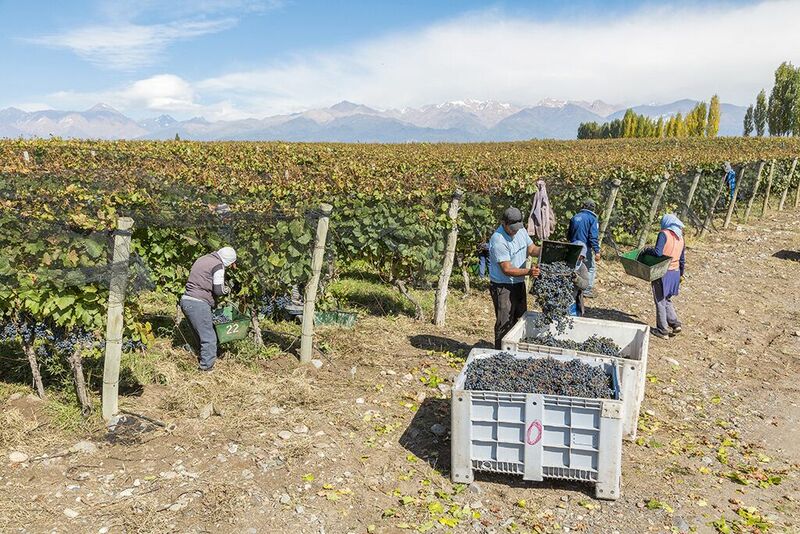 A great deal of Malbec was pulled out during that period and replaced with inferior table grapes, because growers could make more wine from those varieties. Eventually the economy collapsed. It was a terrible time, with 1000% inflation. Didn’t your father, Nicolas, leave the country during that period? Yes, he actually left twice. The first time was in the 1970s, when he studied at Columbia. Then, in 1982, he went to teach at Berkeley. This was during the period of the Falklands war. He came back in 1984, but he was influenced by what he saw going on in the Napa Valley. Who ran the company while he was gone? His brother stayed behind, and my father communicated with him by phone and fax. When he came back, he immediately sold off the bulk wine end of the business to focus on fine wine. But he started with Cabernet Sauvignon and Chardonnay---he was unsure at first about making great Malbec as his grandfather had done, so he approached it gradually. Why does Malbec do so well there? Is it the climate? Partly, yes, but also a great variation in terroir and many amazing high-altitude vineyards. You get a very different expression of Malbec depending on where it’s planted. But the climate is also important---it’s consistently warm, with enough days of sunlight for the grape to always ripen. It’s become incredibly popular with American consumers. Why do you think that is? It has beautiful aromatics and a rich, smooth finish. I think Malbec is more about the finish than anything else. Like Cabernet Sauvignon, it’s a wine of power and finesse, which is another reason I think it appeals to Americans. The U.S. is our best market. I tried the Adrianna Vineyard Malbec the other day, which was a remarkable wine, but the price ($140) is probably out of the reach of most people. The average consumer in the U.S. is spending $15-20, and you do an outstanding job in that category. For that price, I assume they get a blend rather than a single vineyard wine? Yes, but there are many different types of blends. At Catena Zapata we do what we call an altitude blend, where we draw fruit from vineyards at different elevations. The high altitudes are warmer, which give you the ripe flavors. At middle altitudes, you get the texture that forms the major part of the wine’s impression on the palate. The lower, cooler vineyards contribute the acidity and the aromatics. Without getting overly technical, could you describe the work that’s going on at the Catena Institute? You’re doing some very interesting research. Our motto is to use science to preserve both nature and culture. The biggest threat to the world right now is the challenge to our way of life. As farmers, our winemaking culture needs to be preserved. The wine industry has brought great prosperity to Argentina, and economics are important, but it’s not everything. Our goal is to make wine that will stand with the rest of the world, but we can’t lose sight of the values that brought us here. The Europeans have given the right importance to preserving culture and art, and a vineyard is just as much a work of art as the Sistine Chapel. Are you familiar with the wines of Catena Zapata? How do you feel about Argentine wine in general? Share your insights and comments with the community!